Do you have someone truly unique in your life? Someone that inspires you? Or a yoga instructor that’s encouraged you beyond words. 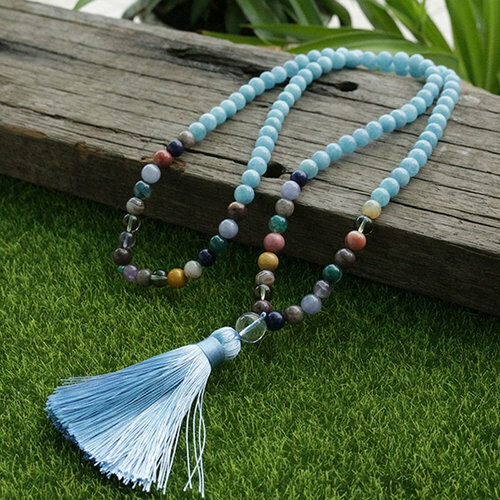 Mala beads are the perfect gift to reward your special someone with the abundance of vibrations, energies and blessings that they carry. Choosing for a friend can be overwhelming, but not to worry! We’ve put together a few simple tips and questions to ask yourself while choosing to make it easier to pick the right ones and much more fun along the way. So are you ready? To choose the perfect Mala for your friend and family or your special someone. Ask yourself where this person is in their life. What are they going through? What are their goals and dreams? What are they trying to achieve? Do they have a favorite color perhaps? What colors do they wear most? Will they wear a Mala causally or will they wear them while meditating? What do you think they would like? 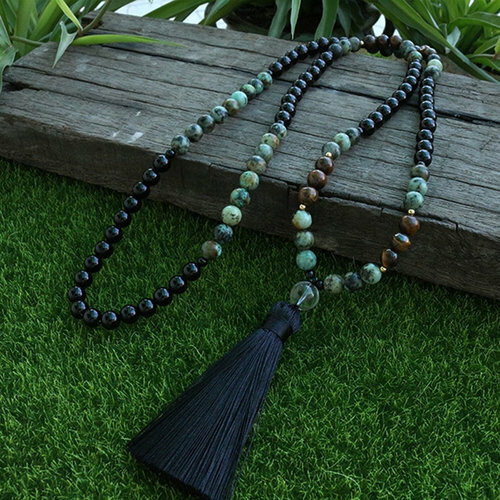 Do you already have a feeling of what type of Mala would best benefit them? Reflect upon their energy and choose the one that your intuition tells you to choose. Remember it's coming from the heart, your special someone will surely love any Mala that you choose for them because it is coming from an pure place. If you have any further questions you can always contact us here or comment down below, we are happy to be of service!